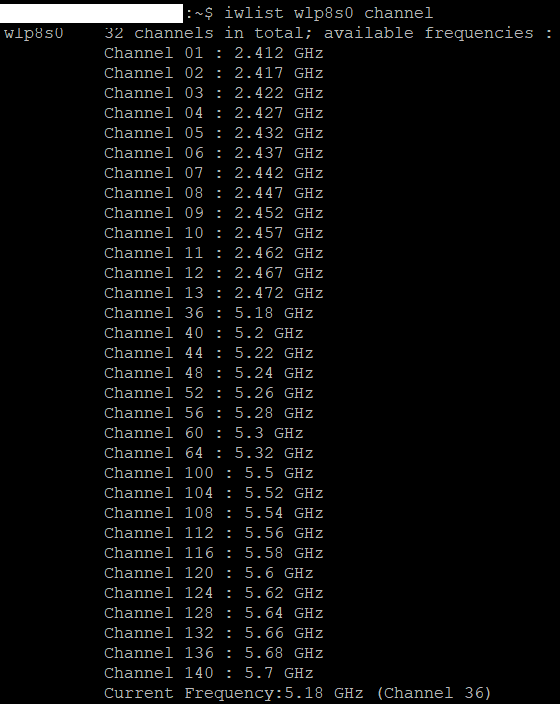 I am trying to obtain maximum throughput between two Ubuntu nodes; both with the 160MHz capable Intel Wireless-Ac 9260 card using an ASUS GT-AX11000 router. Question 1 : Why am I not getting 160MHz or 802.11ac in the ASUS WiFi Radar site survey ? Question 2 : Why are the Site Survey and the wl command incoherent ? Question 3 : How can I get maximum throughput ? Question 4 : What is it with the Intel AC 9260 returning only 20MHz channels ? As for 1) and 2) the AP/AsusWRT is probably only listening to other APs/other antenas, and not to it's own antenas during the ASUS site survey. It has at least to put one of the antenas in monitor mode. Hence not seeing/ignoring itself, or at least only showing a partial version of the SSIDs it supports. As for 3) for measuring the speed between the two Wifi clients, depending whether both points of that iperf are on not in same antenas, you have to multiply the 400Mbps by a factor between 2x and 4x. 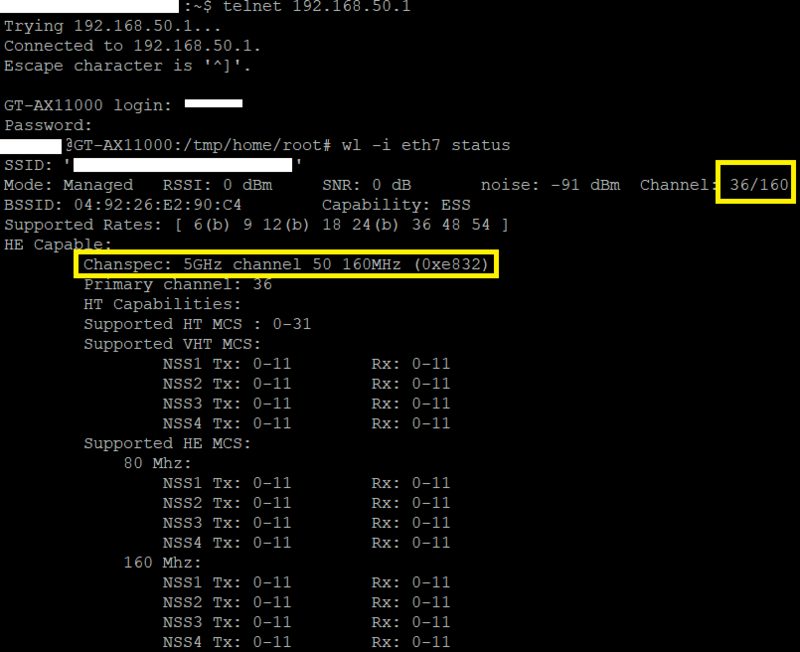 Also iperf3 can benefit on using several streams with the -P option. As for 3) and 4) WiFi quality depends on several points, from the drivers Linux quality, to the distance you have to the AP, to the interference you might have go from neighbours. Also, ac open source/Linux drivers are not famous for extracting the best performance from WiFi ac chipsets. So, the chipsets only going up to 5GHz - 20MHz is not that surprising. Not the answer you're looking for? 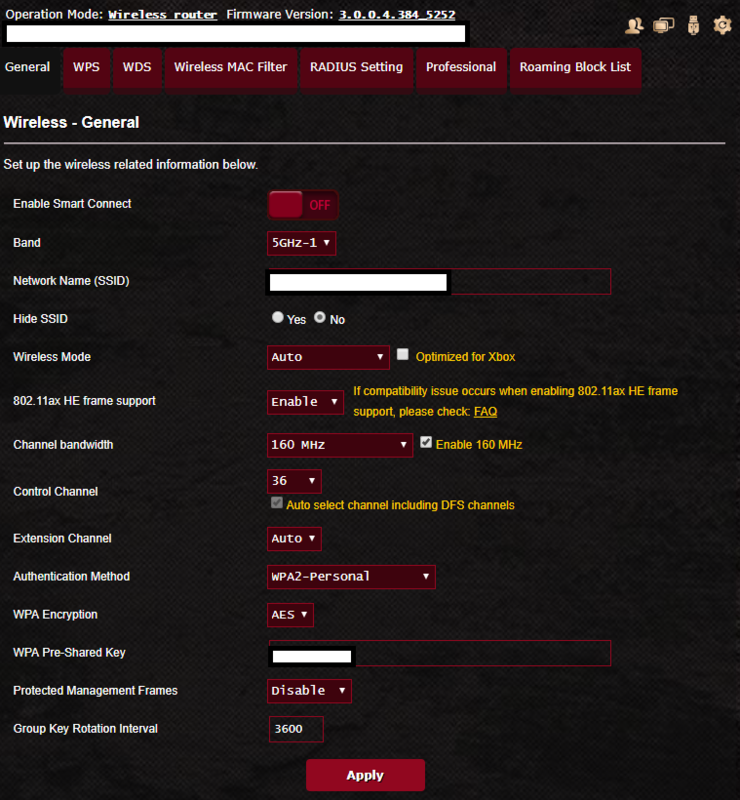 Browse other questions tagged wifi network-interface intel asus or ask your own question. Where to obtain Broadcom DW1530 wireless-n wlan half-mini driver? What are CRDA regulatory domains, and why does my Wifi card keep trying to set them every minute or so? How can I find if my wifi card supports 802.11ac?